Action log template enables adding a list of action items for which corrective actions are required to be executed based on their priority. They are also a summary of various action items that need corrective measures during execution of a project. The log contains all the important information related to the action items and documents the proposed course of action to rectify the issue. 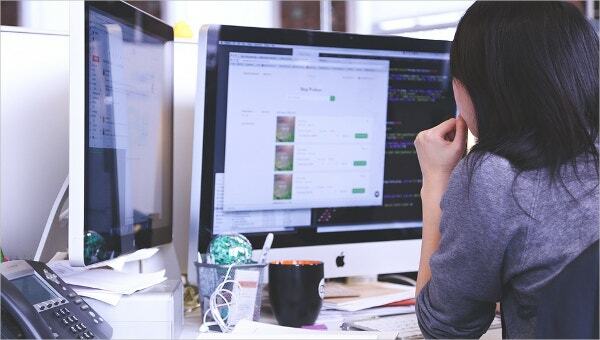 To know more about these templates one can search Google using “log template”, “what is an action log”, “corrective action log template excel” or “activity log template excel”. This corrective action log template shows the details of problem items list. On the top of the log, company name and audit date are mentioned. It displays the log number, the problem that is identified, and corrective action to be taken. It also enables a person to be accountable for monitoring the corrective action, the deadline and date of completion. 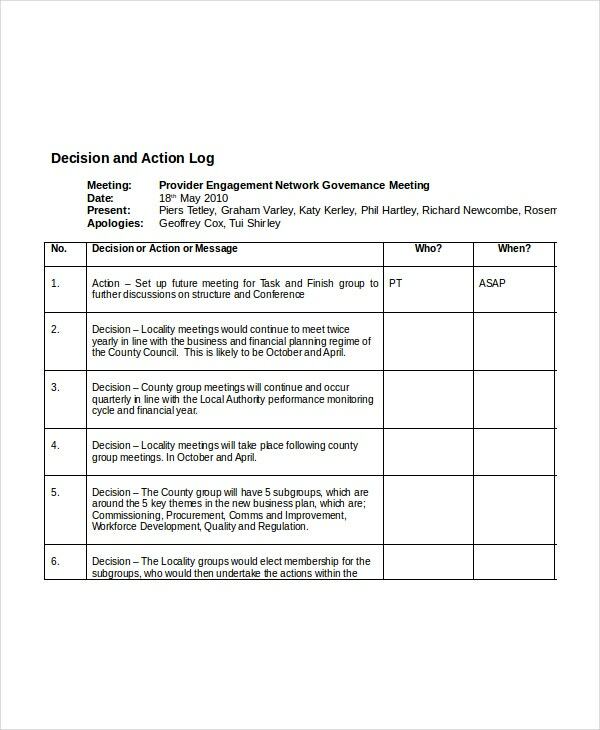 This action decision log template describes the decisions or actions for which the corrective actions are to be taken. The date of the meeting and the attendee names are mentioned. The Mileage Log Templates displays action item description in detail, the person responsible for taking the corrective action, the priority, the persons to be informed about the progress and the status of the corrective action. This action log template word format describes the action item description, the priority of execution like medium, high or low and when it is reported as well as to whom this corrective action task is assigned. The log also mentions about the status of the corrective action and enables adding comments or resolutions. 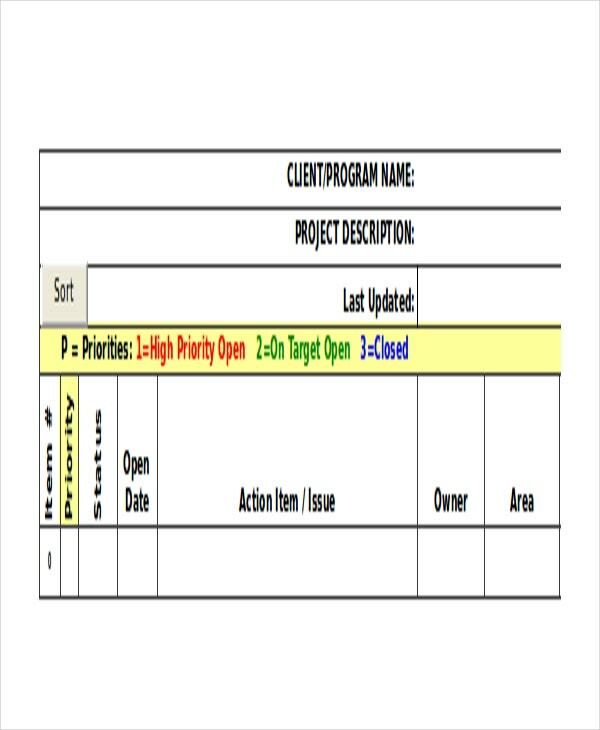 This action log template excel displays the priority of the action item, current status, description of the issue, the person who needs to take action, and area. It also mentions the status or resolution of the action item, the expected date of completion and the final status of the log item. Action log contains a list of items for which corrective action needs to be taken. The action log templates come in either word or excel format. They are sometimes called activity log or corrective action log templates also. In an organization, the incidents that occur are logged and the action log is formed to take corrective action. 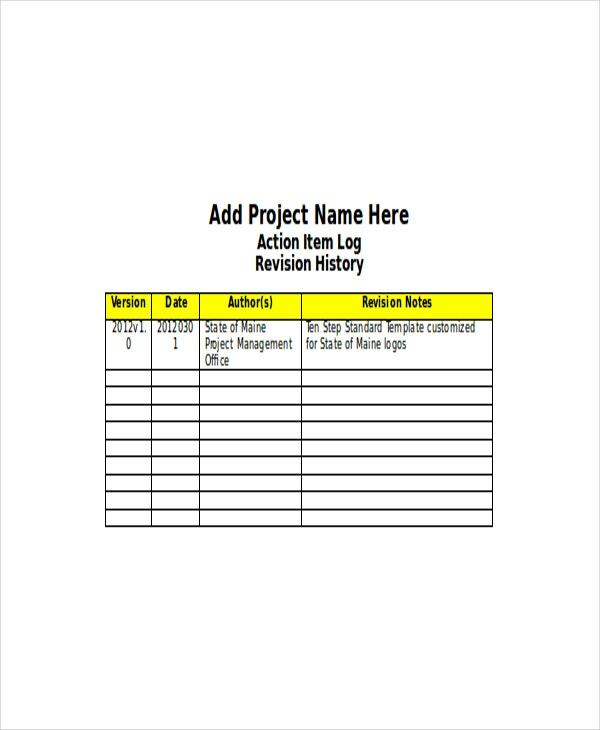 Action log templates for a project management help in identifying issues related to project execution and course of action either to mitigate them or to take corrective actions. To know more about their varieties, one can search Google using “project management action log template”, “action log project management” or “action items template word”. You may also see Best Reading Log Templates. 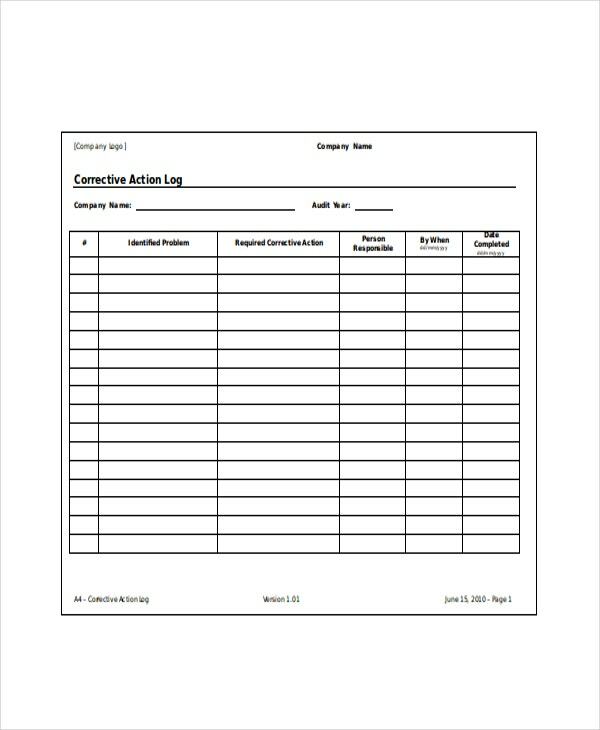 Action log templates help in logging all the issues or actions or messages that are identified during organization meetings. They provide complete details about issues and when they have occurred. They mention the person responsible for taking action on correcting the issue. They also help in recording the activities pertaining to the issues which help the management to know the status of projects or processes. They help in logging the items in an organized and professional manner as well as in tracking these log items easily. They help to take action against urgent items by marking them as high priority items in the Workout Log Templates. Always include as many details as possible in action log, these details will help a lot when reviewing the status of the log item in future. Assigning the action item to an employee makes him or her responsible and accountable. Some of the action items can be grouped together and a team can be made responsible for corrective action. When the date of completion cannot be decided, one can put those items under ASAP category to take up corrective action immediately. Action log template should be preferably in excel format for easy and flexible maintenance. It also helps to filter or sort the items quickly. Action log template is extensively used in any organization to perform various operations and projects in a smooth manner. They help in tracking the issues quickly. They help the management to identify the issues, take corrective actions and even mitigate the issues. Sometimes they are also called as decision log template.